I was in the kitchen after I got off work and I suddenly heard a massively frightening scream. “Mommy the bee stunged me!” So we iced it, put some sting remedy on, put on some Spongebob, and she’s doing much better. What’s up with all of these weekly incidents? Makes me feel like a bad mommy. Last night I was chatting with Hedger about how he and his fiance progressed from friends to more. It was cool to hear his story…he’s sending out his announcements tomorrow. They aren’t having a reception, just a little family shindig after the temple. I’ve thought a lot about what I’d like for a wedding if I do remarry. I feel like my wedding arrangements with Steve were a little more grandiose than necessary. It wasn’t flamboyant by any means, but there were somethings that could have been omitted and I would have been happy. IFF Taylor and I were to get married, it would have to be a much smaller affair…and I’d be happy with that. I can’t remember the last time I felt so devoted and firm in my spirituality. It’s amazing the difference I’ve felt in my life since I changed my attitude from “How bad can I be and still be good?” to “How can I draw nearest to my Savior?” I’ve been keeping up on my daily study of the Book of Mormon and Jesus the Christ. And my prayers have felt so much more purposeful. Rosie had a REAL lesson out of the manual for FHE this week, and she seemed to understand the things I read directly from the text. I feel like I’m on the right track. Back when I was visiting with Bishop Monson in January, he told me that as soon as I figured out some of my demons, gave myself some time to heal, and found my way back to having the spirit in my life…finding a good worthy priesthood holder would soon follow. And the blessing Dad gave me 6 weeks ago mentioned something to that effect…that there was a great worthy man that would soon come into my life. My thoughts have been turning a lot to the temple lately. I have faith that I’m doing what is necessary to make it there worthily very soon. And I think it will be important to recommit to frequent temple attendance. I’m sure Em will be willing to be my temple buddy. And I also would like to attend with Taylor. However, I do feel a bit of hesitation with that because of what happened with Tim (on our “supposedly righteous” temple day) I have been having a very strong draw to the Mt. Timpanogas Temple. I’ve thought a lot about the day I went through that temple for the open house (back in ’96 I think?) I remember walking into the bride’s room, and just being overcome with the spirit…I couldn’t even stand up. I had a whispering at that time. I don’t remember the exact words, but I remember the feeling. Good things were to happen to me in that temple. I don’t know if that is where I’d choose to be sealed, but I think my first time back to the Temple, I want it to be at Mt. Timp. 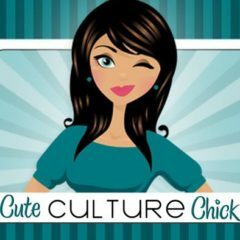 Hey cuteculturechick, I just wanted to introduce myself, my name’s Taylor Bullock. Your profile intrigued me and I thought that we could get to know each other a little better. A little bit about me, I’ll be starting my final year at BYU this spring (and am SO looking forward to being done.) I’m an international relations major and would like to work for the government eventually as an analyst. Time will tell, but I’m the oldest of 7, the youngest is seven (she’s the cute redhead in the pictures) and I’m a California boy, grew up in the subburbs of LA. I love dancing (especially big band), movies, and I sing a little (or took a semester of voice lessons at any rate). I served my mission in La Paz, Bolivia, and have been home about 3 and a half years. I graduated from Ricks with an AA in Spanish and International Studies, and have been plugging away at school ever since. I’d love to hear a little bit about you, your family, ect. You’re a U2 fan? I think we could get along! Your daughter is adorable by the way, nice work! I’ve got some studies to take care of before bed, but take care, until next time…..
We met in Murray at Baja Fresh. Did a little of the basic “getting to know you chitchat. I was suprised to hear that he had only been out of his engagement for a month, and was suprised that he said he felt ready to give dating a chance again. I remember him distinctly telling me, “You are an amazing lady,” for the trials and adversity that I seem to be handling so well. He also said I reminded him of his mother. I instantly fell for his smile. After eating, we had a few minutes to kill…so we went in my car and listened to John Mayer. We sang along, and discussed our other music interests. He may have grabbed my hand for a squeeze once or twice, and the date ended with a hug. He picked me up at my house, and we went to a hole in the wall mediterranean restaurant in Fort Union. He got the info off of the internet, and was embarrassed that it wasn’t all that the website made it out to be. I don’t remember the conversations much, but I do remember enjoying my time with him. We went to the Sandy dollar theater, and he let me pick the flick. I chose “The Home Teachers,” which he moaned and complained about. I thought it was pretty stupid too. He didn’t have cash on him, and I threw down the money to see the movie. He said, “My sense of chivilry can’t handle that….I need to make it up to you.” So we went to Baskin Robbins and got ice cream. A few hand squeezes, and an hug at the end.